With the capillary graft follicles are removed one by one, where the physician chooses follicles demand (1, 2, 3 and 4 hair). It is removed from the donor area (Occipital and / or temporal). » Using micro surgical instruments caliber (0.75, 0.8, 0.85 and 0.90) for extraction. » Scarring of the micros extraction points in 4-5 days. » There is no risk of nerve or vascular involvement. » Withdrawal regular symmetry, leaving the hair smooth. 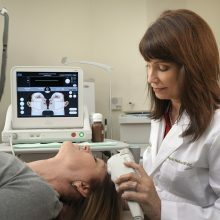 » No follicular unit is not damaged during removal. » No special maintenance of new hair is not necessary, since after growth completely behave like natural hair. This technique allows us to extract the follicular units we need. Currently, we are retiring between 1200 and 1800 units per day, depending on the donor area density of each patient. 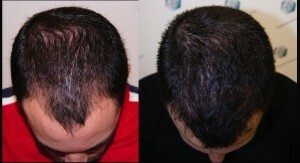 We are limited only by the patient fatigue and hair availability of donor areas of the head and body. 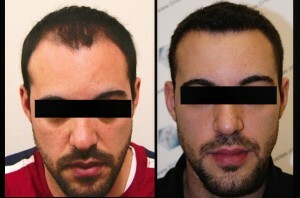 Hair transplants for more than 1800 units (we recommend 2 consecutive days). Thus we get transplanted from 2000-3200 FUs in two consecutive days according donor site of each patient. To find the approximate number of follicles you need to add areas. 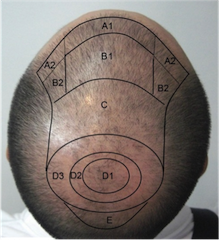 Examples (* number of follicles may vary depending on the degree of baldness, it has some hair in the area or not). 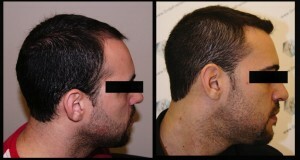 » Zone 1 = 1 day intervention (may be implanted from 1100 to 1600 FUs follicles). 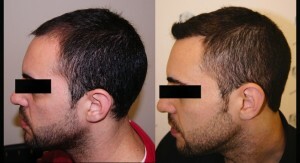 » Zone 1 + Zone 2 = 2 days intervention (may be implanted from 2000 to 2500 follicles). » Zone 1 + Zone 2 + Zone 3 = 2 days intervention (can be implanted from 2600 to 3200 follicles). » Zone 4 = 2 days intervention (may be implanted from 2000 to 3200 follicles). » Zone 1 + Zone 2 + Zone 3 + Zone 4 (in this case perhaps more interventions needed to achieve the desired aesthetic results).